Registration is now closed. We are excited about the 70 applications from more than 20 countries. 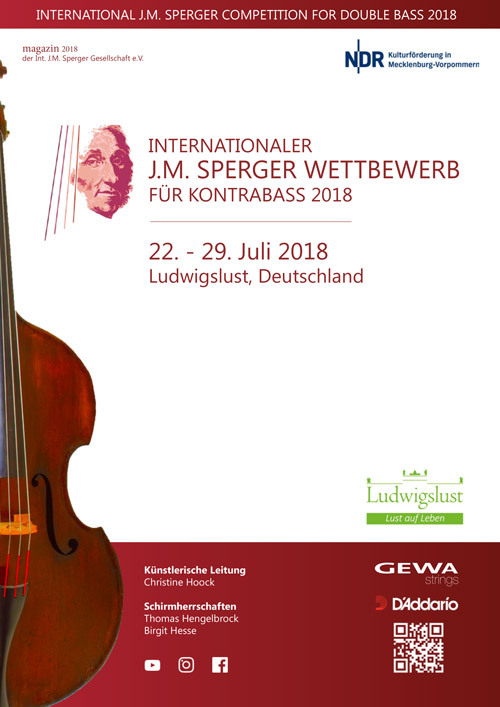 Over the past decades, the works of Johann Matthias Sperger have become an important benchmark in the education of young double bassists, as well as on concert podiums. I am very pleased that the International J.M. Sperger Competition carries the memory and appreciation of this composer around the world, and attracts and enchants so many musicians. I wish all participants much joy, a lively exchange of ideas, and fair play in competiton.